Is school not really “your thing”? Don’t want to spend tens-of-thousands of dollars on a college degree that you may not even need? More and more college-aged people are seeing the value of going to a trade school, receiving a post-secondary education, or skipping the schooling altogether and jumping into their career. General maintenance and repair workers help fix and maintain equipment in residential homes and corporate buildings. They help work on basic plumbing, electrical work, air conditioning, and heating systems. Do you enjoy traveling and seeing different parts of the country? Truck drivers make daily routes driving throughout the country to deliver a payload. Do you love cars? Auto mechanics get to work with their passion each day and enjoy a team of like-minded individuals.They inspect engines and can make necessary repairs to their customers’ vehicles. Plumbers can be heroes to those that are experiencing broken or frozen pipes or broken toilets. They can diagnose and install water lines, appliances, and waste systems so that everything in a home or business runs properly. Electricians learn how to read blueprints and study instructions of electrical circuits and wiring. While an apprentice, you learn how to inspect electrical components and identify/fix problems. Construction workers get to bring designs to life, and create amazing buildings or city roads that generations to come can enjoy. Carpentry is one of the world’s oldest professions. They use wood and other materials to build furniture, custom cabinets, and structural walls for homes. Carpenters are crucial in the home building process and are in high demand. Hey, we’re plumbers and we love it. Being a plumber has many benefits that keep us motivated and loving work throughout our career. If you enjoy solving problems, helping people, and having flexible hours then you may love becoming a plumber! Should I consider becoming a plumber? 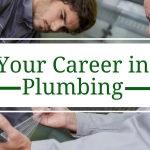 Have you ever asked yourself if you want to become a plumber? Because there is a shortage of skilled tradespeople throughout the country, there is a lot of positive to becoming a plumber. A high demand of skilled tradespeople brings a lot of benefits along with it. Independence. Plumbers can often create their own schedules and once they’re properly trained can eventually own their own company. Stability. Every home and business will at some point require a plumber. Because of their high demand and expertise, plumbers can charge a fair price and make a nice profit. Minimal debt. If you decide to become a plumber and not go to a university, you will save thousands in student loan debt. Students across the country are taking out loans to get an education, which they have to eventually pay off for quite a while. Plumbers are able to avoid this stress because they don’t need to attend a university to become licensed. Lifestyle. Being a plumber requires a lot of mobility from job to job. You won’t have the boredom of sitting at a desk or cubicle for hours on end; you’ll enjoy being outside and working in different environments. Satisfaction. When completing a plumbing job, you will know that you are helping people live a better quality of life. You are helping them solve a problem that is out of a customer’s control. Helping customers with their plumbing challenges will bring a great sense of job satisfaction. Trade jobs and post-secondary education can both be rewarding in their own ways. We always advocate for people to embrace their lives and live the way they want to – which is why a career in plumbing is so positive. 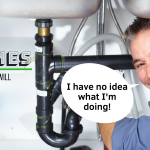 Plumbing is a skilled profession that does not require a college degree, there is some training involved but you won’t need to stress about paying off thousands of dollars in student loan debt. You can decide today to have a stable, rewarding job. Don’t spend your time in an office or at a desk the rest of your life, have mobility and feel like the work you are doing is helping other people. If you feel that you have what it takes to become a plumbing professional, contact us today to schedule a time for an interview!